The snow tallies are mounting as fast as the flakes can fall at the Buffalo Niagara International Airport. But for now, it looks like one of the city's most historic weather records will not be eclipsed. As of midnight, 62.4 inches of snow had fallen at the airport in January. With 24 hours to go in the month, January 2019 is now the fourth snowiest January ever in Buffalo, a flurry or two shy of 6 inches away from the record set in January 1977. 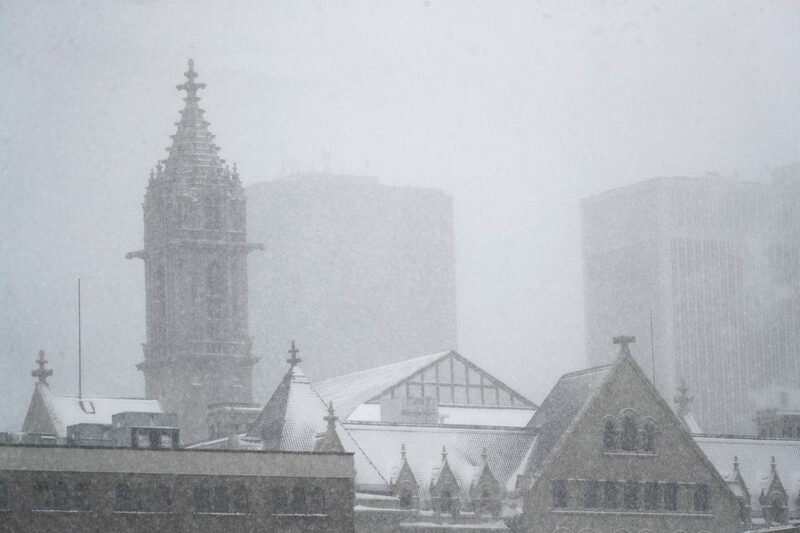 That January, which featured the storied Blizzard of '77, ended with 68.3 inches of snow. That's also the city's third snowiest month on record. The storm that has buried the region this week dropped a daily record 13.6 inches at the airport Wednesday, breaking a mark of 11.6 inches that was established in 1966, the National Weather Service reported. That pushed the city's monthly total to 62.4 inches and into fourth place in the city's all-time list for snowiest months of January dating to 1870. 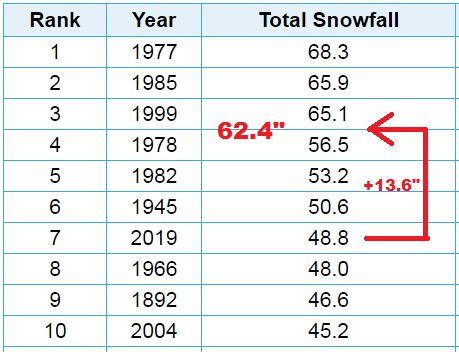 This is also now the sixth snowiest month on record. Those that remain ahead heading into January's final day on Thursday include: December 2001, 82.7 inches; December 1985, 68.4 inches; January 1977, 68.3 inches; January 1985, 65.9 inches; and January 1999, 65.1 inches. It took three daily snowfall records in six days to help it along. Besides Wednesday, the 6.4 inch total on Tuesday, eclipsed a 125-year-old daily snowfall record of 6 inches. Last Friday, the 17.2 inch snowstorm shattered another century-old mark of 10.1 inches, established in 1915. According to the National Weather Service webpage, 9.9 inches of snowfall was recorded today, as of 4 p.m., at the Buffalo Niagara International Airport in Cheektowaga. The total snowfall for the month of January, as of 4 p.m., is 58.7 inches.